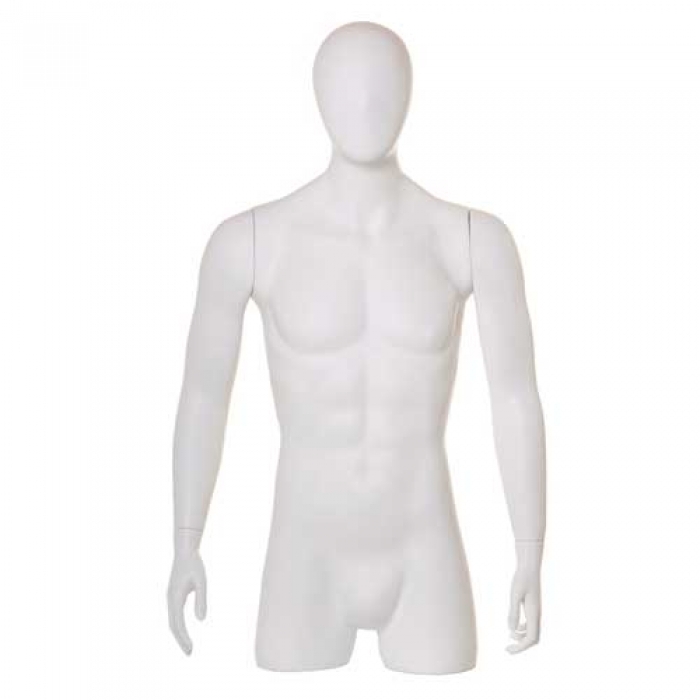 Male Fibreglass Abstract Head Half Bust Torso. Suitable for counter standing displays also perfect for a shop window display. A counter top torso is a great way of displaying garments without taking up valuable floor space. Chest 96cm, Body Height 110cm, Waist 79cm, Hips 94cm.